Are you ready to celebrate Mother’s Day at the beach? I’m so excited to share the final pattern of the #CelebrateMomCAL, my simple Beach Day Accessory Pouch! It goes great with the Beach Day Tote Bag by The Purple Poncho. You can fit your phone, keys, sunglasses or any other important items that you want to keep out of the sand. The zipper keeps the pouch closed and keeps your valuables safe. I even added a lining to keep the sand out of the inside! This post contains affiliate links. I do receive a commission if you make a purchase through my link(s), which helps support my blog and allows me to bring you more great posts! I also received a free sample of Premier Home® Cotton Yarn to review and use for this pattern. I was not financially compensated to write a favorable review. The opinions expressed in this post are my own. For this post, I used Premier Home® Cotton Yarn that was sent to me by Premier Yarns! You can read my review of this beautiful yarn here. For my Beach Day Accessory Pouch, you will need 2 balls of Premier Home® Cotton Yarn. 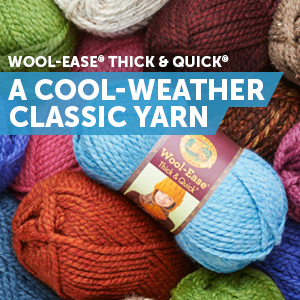 to get 10% OFF the Premier Yarns we’ve suggested for these projects! The giveaway will conclude on May 15, 2017. Color changes are made in the last yarn over of the last stitch of the round. (Yarn over, insert hook into the designated stitch, pull up 1 loop) 3 times. Yarn over and pull through all 7 loops on the hook. Using long yarn tail from beginning Fsc and a yarn needle, close the bottom of the pouch using the whip stitch method. Weave in ends. Attach the zipper using the tutorial linked above. « 12 Free Crochet Patterns for Spring Hats!